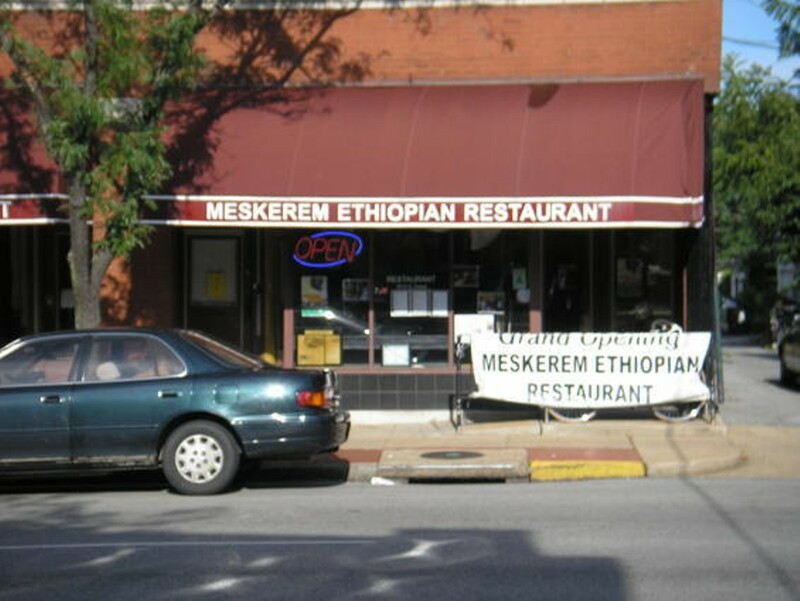 An Ethiopian restaurant likely to appeal to novice and connoisseur alike, Meskerem is a welcome addition to South Grand's multi-culti mix. Even the injera - the spongy, slightly sour bread with which you scoop up your food - is better than average here. 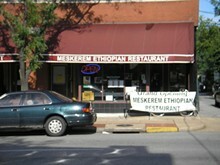 Newcomers might want to try the Meskerem Combo, which offers both straightforward tibs wat (beef in the classic Ethiopian berbere sauce), and the more interesting gomen besaega (beef with collard greens). Vegetarians will find several delicious lentil, chickpea and sautéed vegetable dishes, while adventurous carnivores may want to try kitfo, raw beef chopped very fine and seasoned with clarified butter and fiery mitmita chile powder. pureed lentis are served next to a rare combination of finely chopped onions and green chillies mixed in vinaigrette sauce. shrimp sauteed in a mild and flavorful onion and herb sauce. morsels of lamb, collard greens, and potato in specialty seasoned mild sauce.